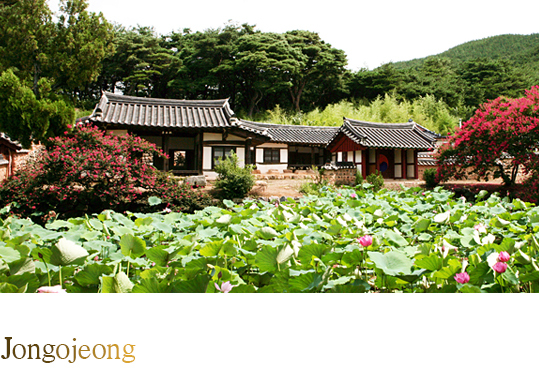 The buildings were originally built to pay tribute to Hwang Jeong, a civil minister of the Choseon dynasty. He was admired for his scholarship and filial piety. Present buildings were reconstructed in 1945, It is located in Mt. Seondosan, having lots of myths and stories. It is 10 minute’s drive from Bomun Tourist Resort. The building was built to train talented young students by Choi Chan Hae. The house is full of flowers and you get a taste of country with the twinkle of stars that the city cannot offer. 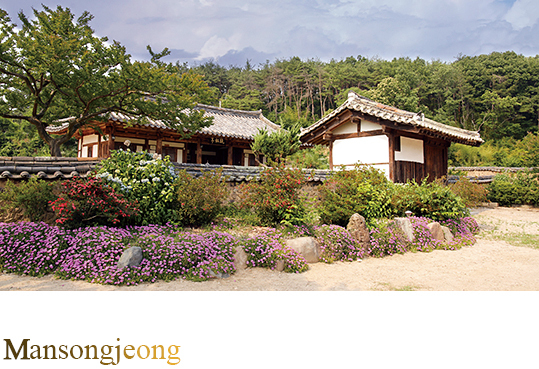 This is a memorial hall built in 1561 to co-memorate Seol Chong and Choi Chi-won, the greatest scholars and saints of Silla dynasty, and Kim Yu-shin who played significant roles in unifying the three kingdoms. It burnt during the Japanese invasion in 1592 and was later rebuilt in 1623. 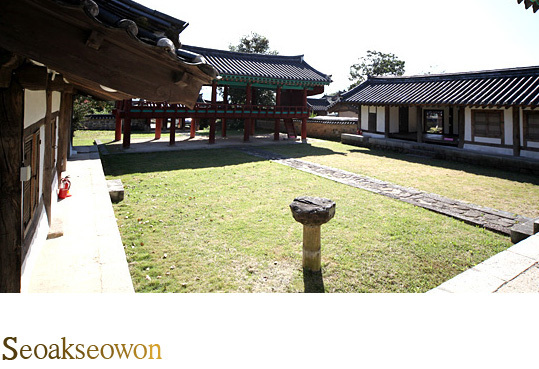 It is one of the 47 seowons that have not been closed despite orders from Heungseon Daewongun to shut down seowons. You can use it as lodging rooms as well as a place for meeting with more than 50 people. 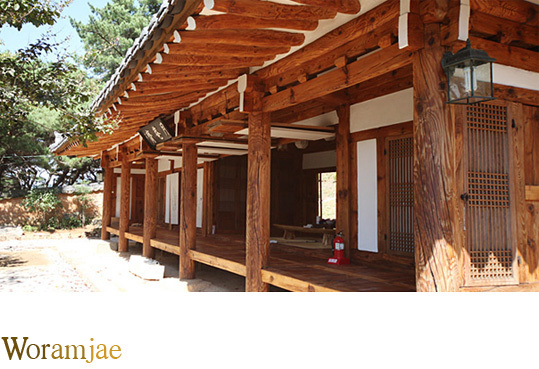 This house was built to reward General Kim Ho for his virtues life. He rendered distinguished services for the country during the Imjin war, the Japanese invasion to Korea(1592–1598). 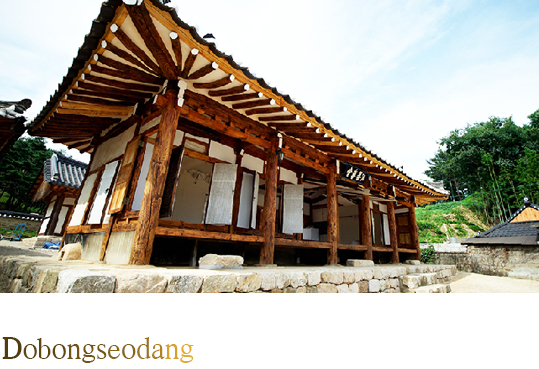 There are some heritages near the house, namely Najeong Well, Yangsanjae, Oreung, Poseokjeong Pavilion site and Mt. Namsan. These show the rise and fall of Silla dynasty which lasted for about 1,000 years. - As an independent house, the house has 3 rooms, a big living room, kitchen, bathroom, and garden. - You can use it as lodging rooms as well as a place for meeting with more than 10 people. 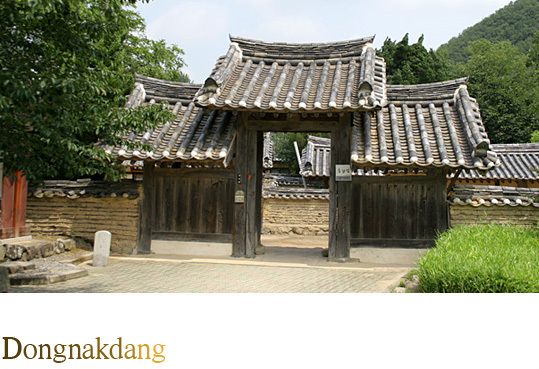 These three buildings were built by Choi Chi-deog(1699-1770) and his followers. Choi Chi-deog was a great scholar during the Choseon dynasty. The garden consists of a big Chinese Junifer tree over 300 years old, a vast lotus pond which blooms in summer, and of pine trees behind the buildings. It is known in Korea for its beautiful garden.